Oral History of Edson de Castro, Computer History Museum, interviewed by Gardner Hendrie, November 22, 2002 and January 13, 2003. 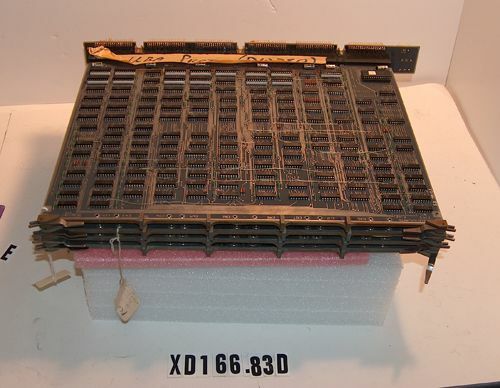 1961 - CDC 160A, 12-bit word size, $110,000. 1963 - DEC PDP-5, 12-bit word size, $95,000. 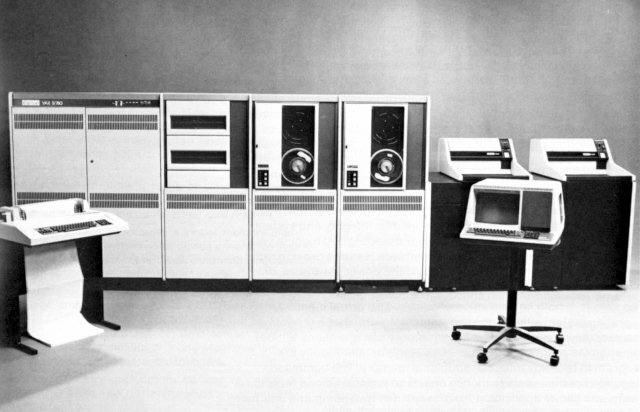 1965 - DEC PDP-8, 12-bit word size, initially sold for $18,500, approximately 50,000 built. 1968 - DG started by former DEC employees Edson de Castro, Henry Burkhardt, and Richard Sogge, along with former Fairchild Semiconductor sales manager Herb Richman. De Castro served as president and CEO; Richman served as vice-president of marketing and sales; Harvey Newquist served as head of manufacturing; and, attorney Frederick Adler served as secretary. 1969 - DG Nova, 16-bit word size, typical memory size of 4 K words, initially sold for $8,000, approximately 50,000 sold across all the Nova-based product lines. De Castro designed the logic, Sogge implemented the circuits and memory, and Burkhardt wrote the software. 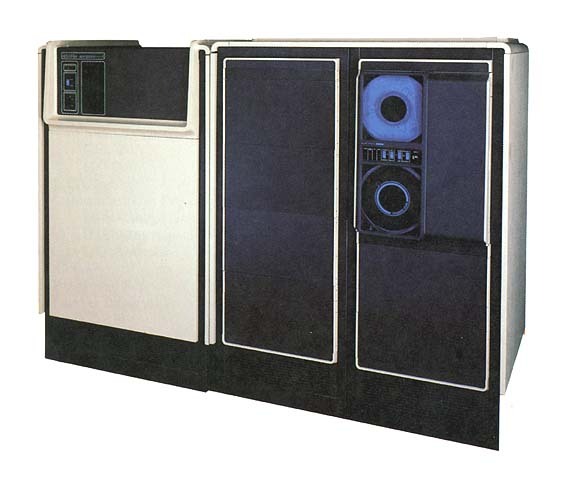 1970 - DEC PDP-11, 16-bit word size, initially sold for $10,500, over 600,000 built (perhaps not including LSI-11s?). 1971 - beginning of microcomputers - Intel 4004. 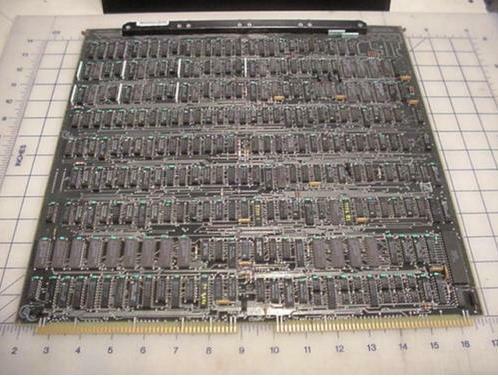 1972 - Intel 8008 microprocessor, 8-bit registers, 16 KB addressability. 1973 - Xerox Alto workstation prototype, microcoded processor, 128 KB memory. 1974 - Intel 8080 microprocessor, 64 KB addressability. 1975 - Altair 8800 computer using Intel 8080 and 1 KB memory, $375. 1977 - Apple II, $1,300; Commodore PET, $600; Radio Shack TRS-80, $600; all three come with 4 KB memory. 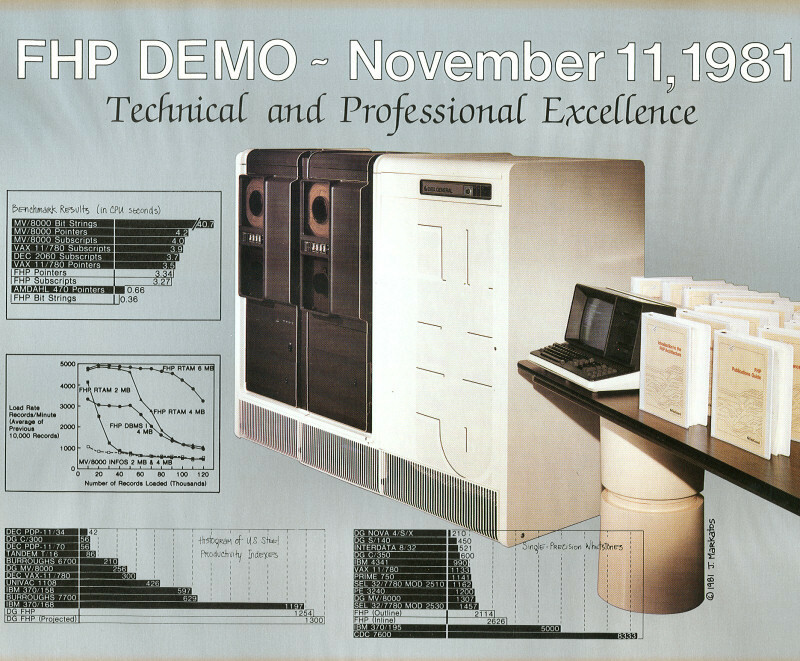 1978 - DEC VAX-11/780, 32-bit word size, typically 256 KB to 2 MB memory size, $120,000 to $250,000+ depending on configuration, widely sold and by the mid-1980's the VAX product line helped propel DEC to the number two computer company, behind IBM. However, Wallach (1981, pp. 113-114) characterizes the machine as a four-stage, underpipelined design with 110 nsecs cycle time - (1) fetch instruction, (2) decode, (3) fetch microinstruction, and (4) execute microinstruction, with the first two stages overlapped with the last two stages; the Principles of Operations manual characterizes it as a four-stage, fully pipelined design (1980, p. 15). Blau, Holland, and Keating (1980, p. 93) also discuss a split-cycle mode in which the ALU is double-cycled and performs two operations during a 220 nsecs cycle. Jonathan Blau, Charles Holland, and David Keating, "The micro-architecture of the ECLIPSE MV/8000: Conception and implementation" (ACM DL link), MICRO-13, 1980. David Epstein, "The ECLIPSE MV/8000 microsequencer" (ACM DL link), MICRO-13, 1980. Neal Firth, "The role of software tools in the development of the ECLIPSE MV/8000 microcode" (ACM DL link), MICRO-13, 1980. Paul Reilly, Elizabeth Shanahan, and Steven Staudaher, "An implementation of microdiagnostics on the ECLIPSE MV/8000" (ACM DL link), MICRO-13, 1980. 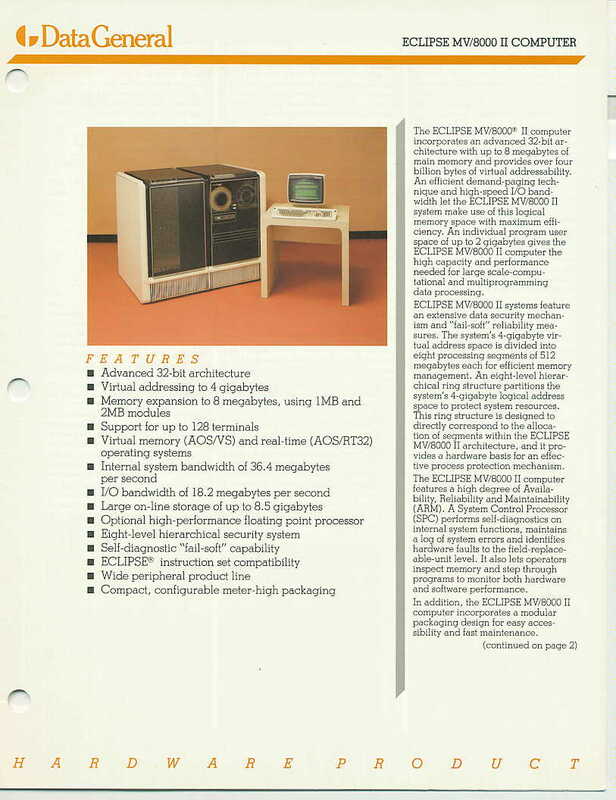 Steve Wallach and Chuck Holland, "32-bit minicomputer achieves full 16-bit compatibility," Computer Design, vol. 20, no. 1, January 1981, pp. 111-120. "Data processing system utilizing a hierarchical memory storage system," S. Wallach, K. Holberger, D. Keating and S. Staudaher, U.S. Pat. No. 4,409,655, issued July 29, 1983. "Data processing system having a unique instruction processor system," K. Holberger, J. Veres, M. Ziegler and C. Henry, U.S. Pat. No. 4,398,243, issued Aug. 9, 1983. "Arithmetic unit for use in data processing systems," J. Blau and J. Rosen, U.S. Pat. No. 4,405,992, issued Sept. 20, 1983. "Hierarchical memory ring protection system using comparisons of requested and previously accessed addresses," S. Wallach, K. Holberger, D. Keating, and S. Staudaher, U.S. Pat. No. 4,409,655, issued Oct. 11, 1983. "Data processing system having instruction responsive apparatus for both a basic and an extended instruction set," C. Holland, S. Wallach and C. Alsing, U.S. Pat. No. 4,434,459, issued Feb. 28, 1984. "Fixed point and floating point computation units using commonly shared control fields," J. Blau and J. Stein, U.S. Pat. No. 4,476,537, issued Oct. 9, 1984. "Dual port cache with interleaved read accesses during alternate half-cycles and simultaneous writing," M. Ziegler and M. Druke, U.S. Pat. No. 4,493,033, issued Jan. 8, 1985. "Data processing system having a unique address translation unit," S. Wallach, K. Holberger, S. Staudaher, and C. Henry, U.S. Pat. No. 4,532,590, issued Jul. 30, 1985. "Microsequencer in a data processing system using stack storage for controlling the sequencing of microroutines," D. Epstein and C. Holland, U.S. Pat. No. 4,679,138, issued Jul. 7, 1987.
early 1979 - news that FHP will miss deadline "by a huge margin"